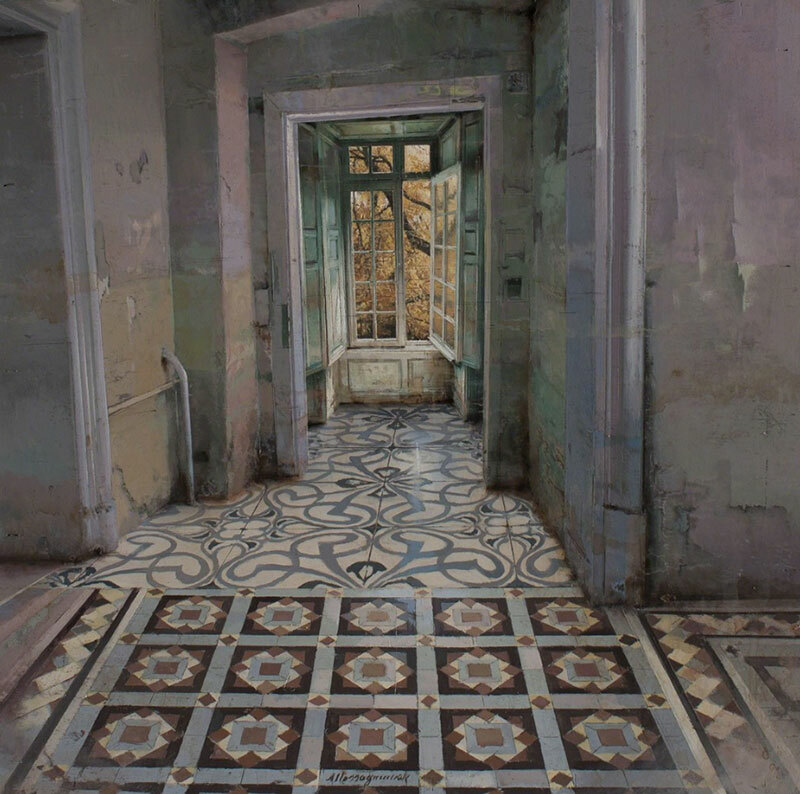 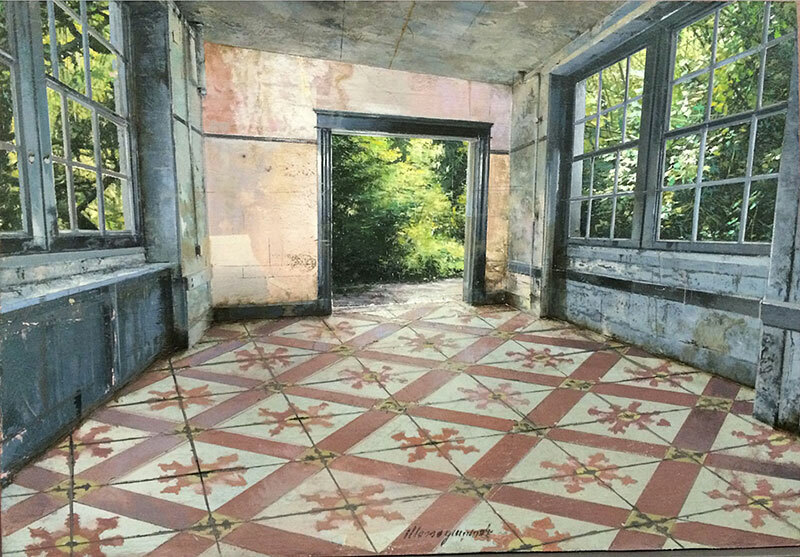 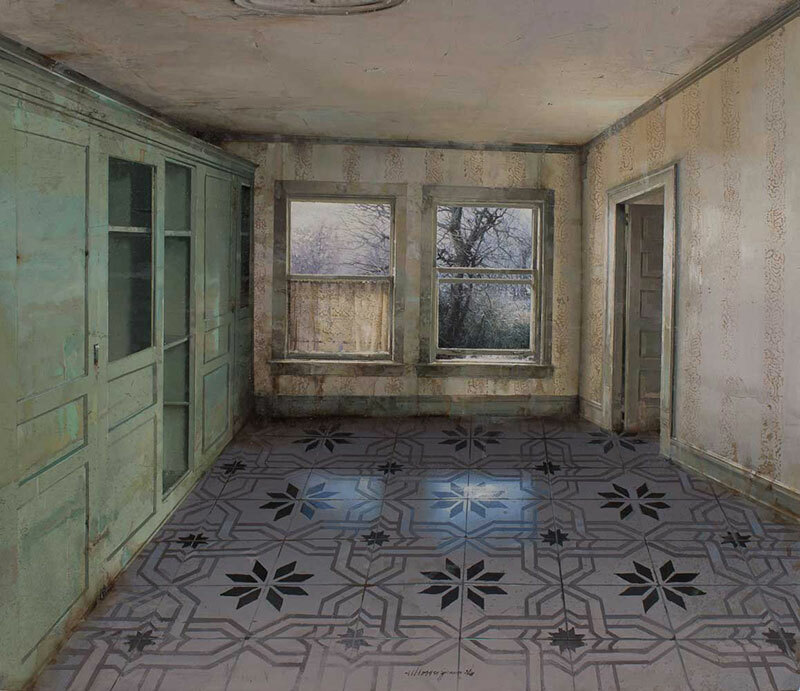 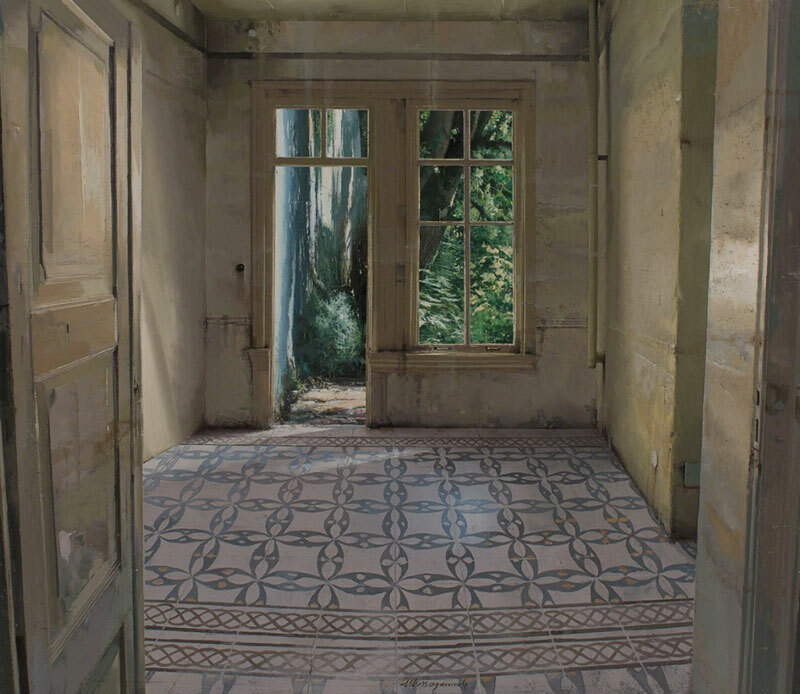 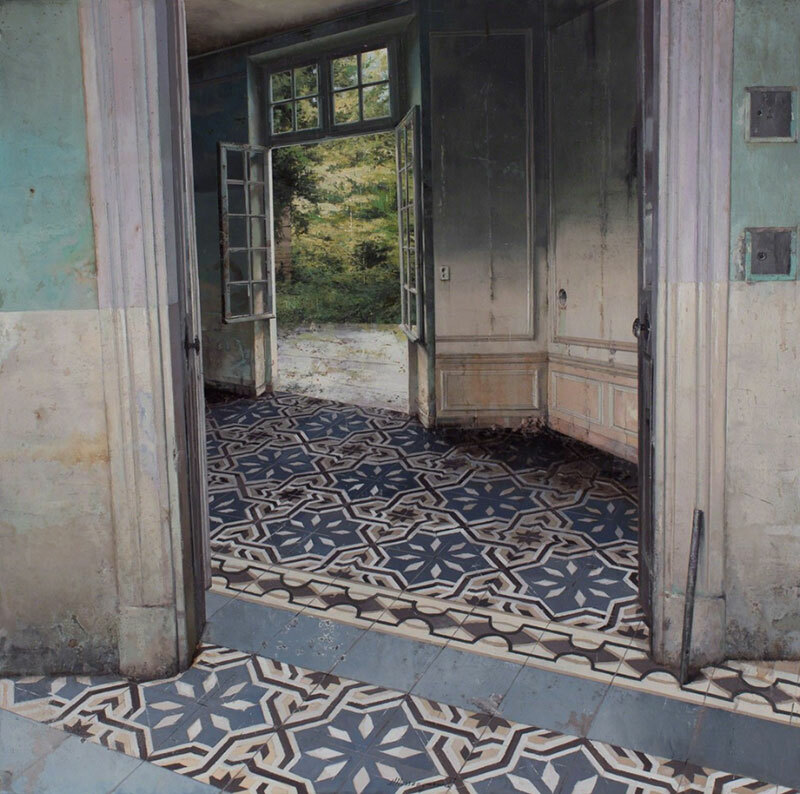 Paintings of intimate interiors in various states of deterioration by Italian artist Matteo Massagrande. 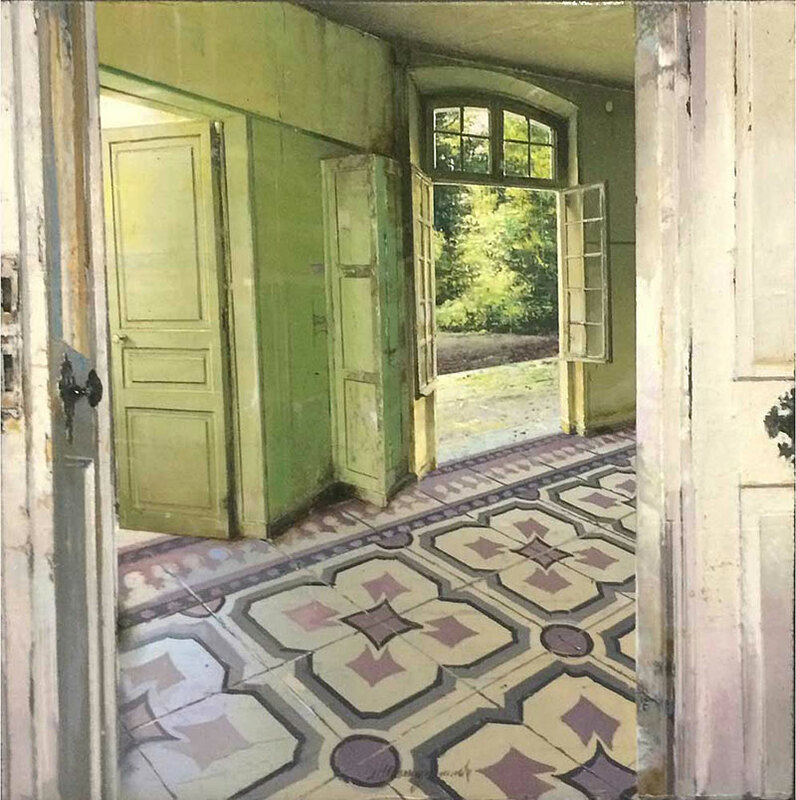 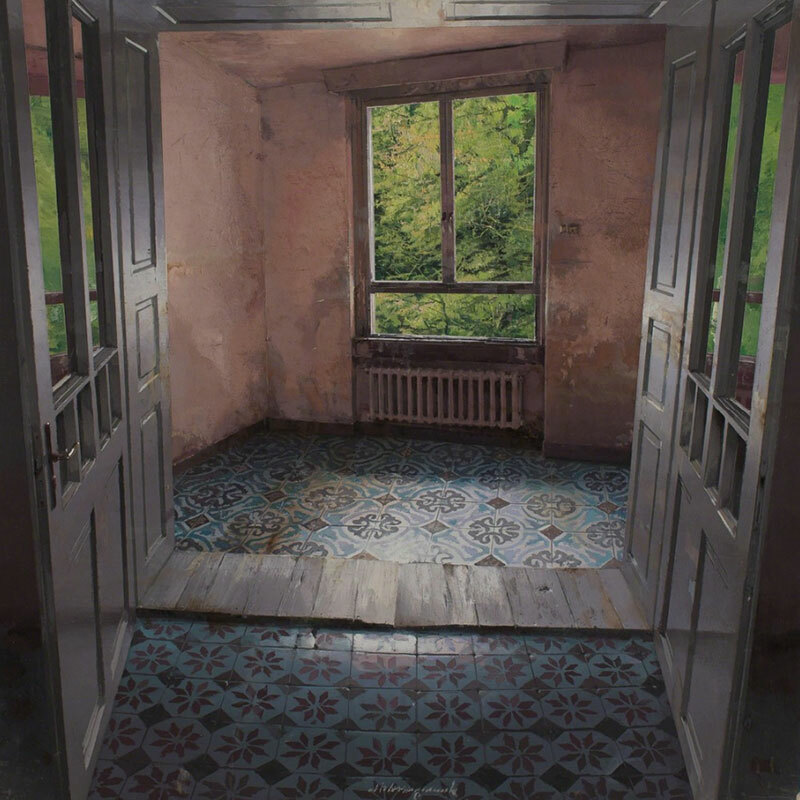 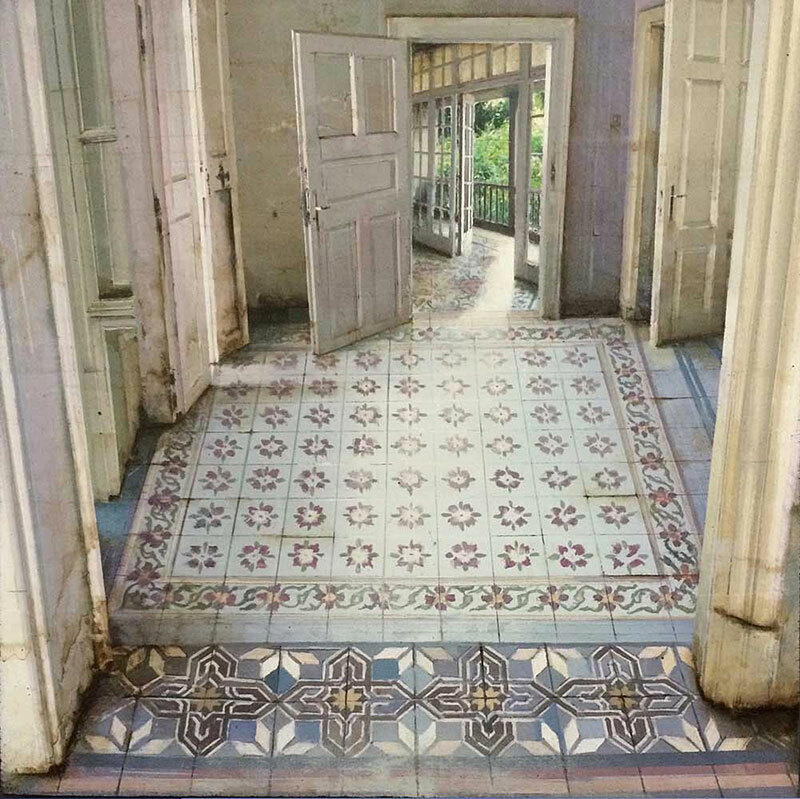 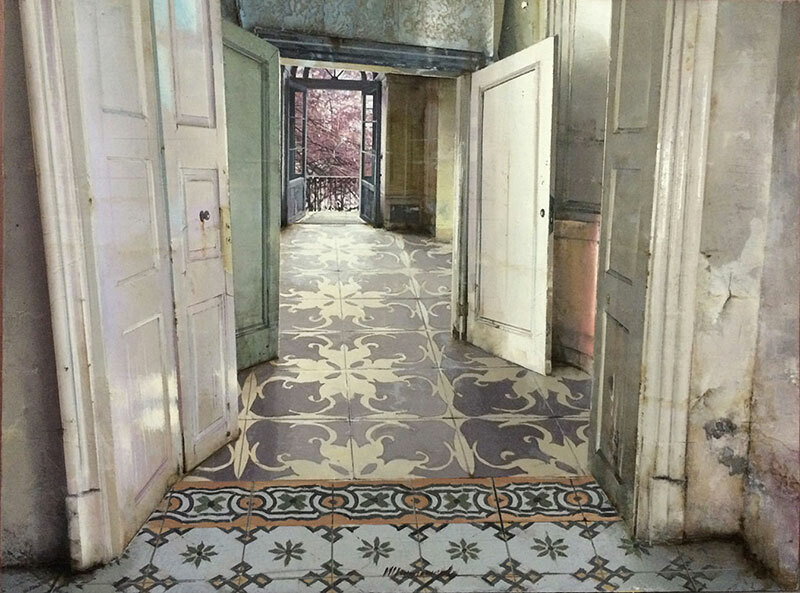 Using light, perspective and a subtle palette, the derelict urban spaces draws the viewer in through a series of open doors and window frames that offers partial views of corridors, terraces, and the outside world. 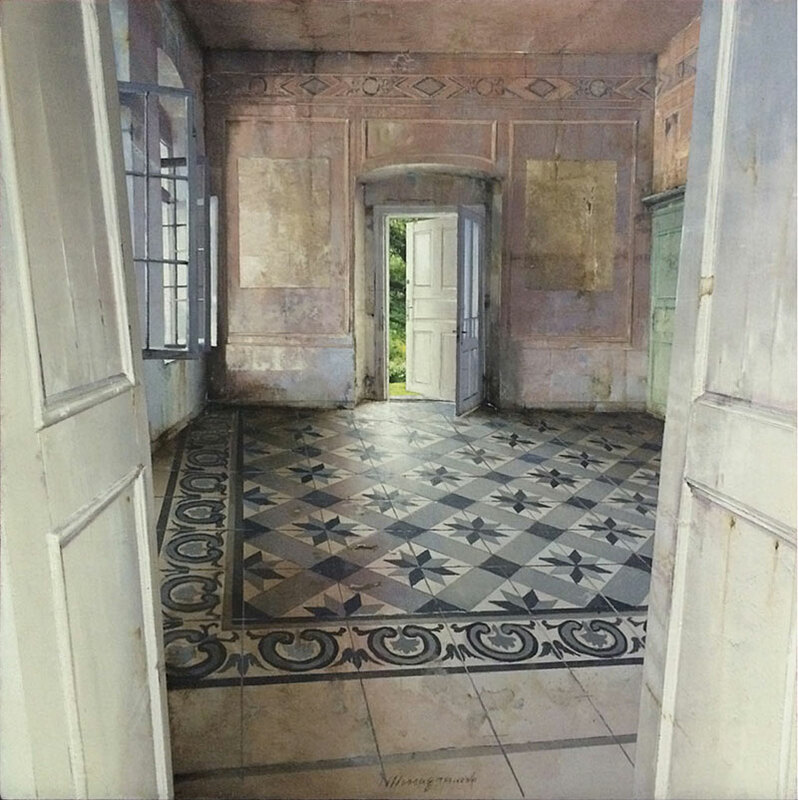 Inspired by Renaissance techniques, Massagrande uses several focal points in his compositions as if each scene was viewed simultaneously from three or four different points of view, while retaining the illusion of a perfectly defined perspective. 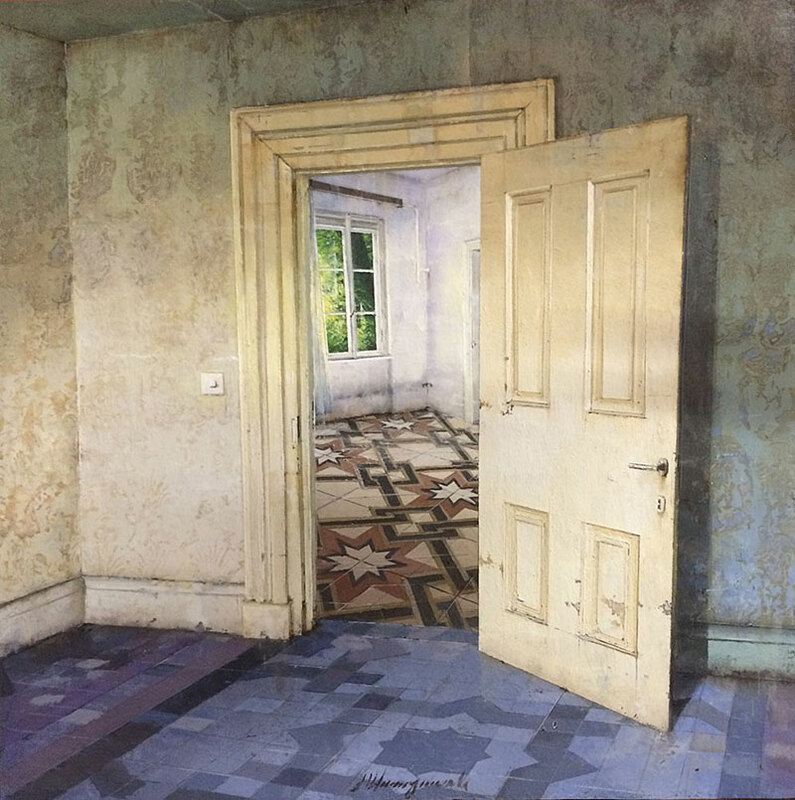 The artist draws inspiration from several sources, fusing elements of different spaces together through his masterful use of light to create a new reality. 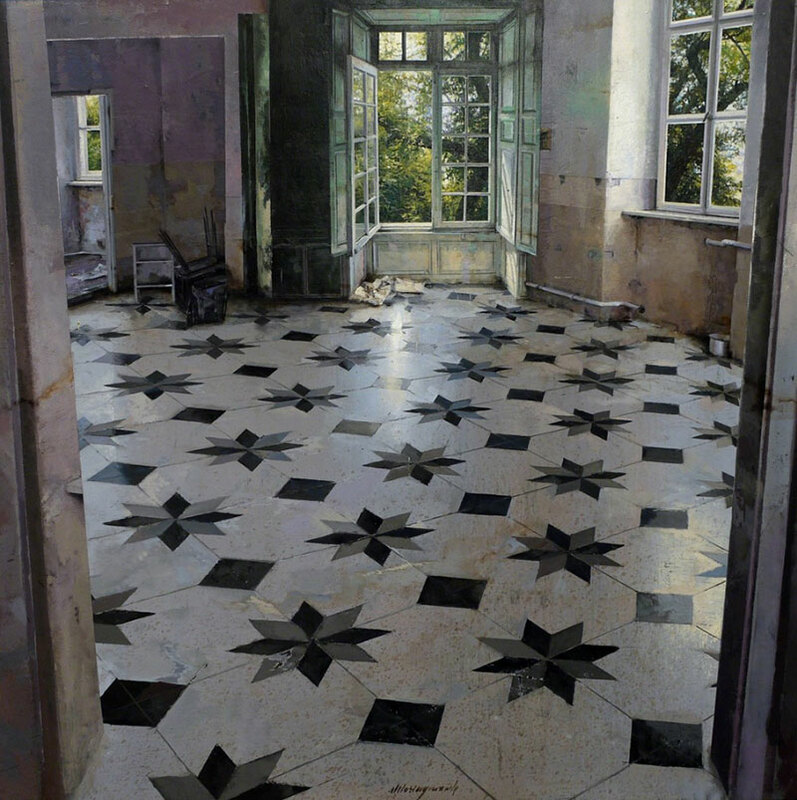 Paintings of intimate interiors in various states of deterioration by Italian artist Matteo Massagrande.